The township of Union, in Tioga County, Pennsylvania, is situated in the southeastern corner of Tioga county, and is bounded on the north by the townships of Hamilton and Ward; on the east by the county of Bradford, on the south by the county of Lycoming, and on the west by townships of Liberty and Hamilton. Its mean elevation above tide is about sixteen hundred feet. Its lowest point is about 940 feet and its highest point nearly twenty-four hundred feet above tide. 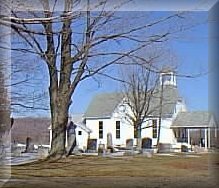 It was formed from the township of Sullivan in February, 1830. The villages in the township are Roaring Branch, Ogdensburg and Gleason. The streams of the township flow in an easterly and southeasterly direction and empty into the Lycoming Creek or river, with the exception of one in the northeastern portion of the township, which discharges its waters into a tributary of the North Branch of the Susquehanna. The lands of the township generally face the east and south, and although they occupy an elevated position, they produce most excellent crops of oats, grass, potatoes and buckwheat with fine orchard fruits. The early settlers were Uriah Loper, Eli McNett, Samuel McNett, John McNett, William Taylor, Wright Rutty, Nelson Rutty, Jewett Spencer, Sr., Jewett Spencer, Jr., Lyon Spencer, Charles O. Spencer, Martin Robinson, Labon Landon, Ezra Landon, Joseph Groover, John Newell, Charles M. Dibble, John Ogden, Luther Ogden, Joseph Wilber, George W. Terry, Alfred Jackson, Jay Whitehead, Nathan Palmer, Martin Middaugh, Martin I. Harrington, Peter Skelly, Patrick Skelley, Abram Rundell, William Barrows, Joshua Reynolds, Thomas Tebo, Ithiel B. Reynolds Thomas Stull, William Rathbone, Thomas Nichols, Thomas Decoursey, G. G. Collins, Patrick McCormick, Peter B. Harrington, Hiram Gray, Charles Whitcomb. Baptist church organized in the year 1844. John Newell settled in Union township in the year 1814. Joseph Groover settled in Union township in the year 1827. Methodist church in the Newell District, erected in the year 1877. Uri Loper was the first settler in Union township in the year 1800. The first saw mill in the township was built by Labon X. Landon. Methodist church at Roaring Branch, erected in 1883. Cost about $2,800. Jay Whitehead, a prominent farmer, settled in Union, in the year 1849. John Ogden, the founder of Ogdensburg, in Union township, settled there in 1839. "The Yankee Path", so well known by lumbermen and rivermen forty years ago, was cut out by Alfred Jackson, Esq., of Union, in the year 1840. He is still living. The first school house in the township was built of logs. It stood near the residence of Charles M. Dibble, Esq. Swamp church (Baptist) erected in 1800. There is a small swamp near it, which is the reason that it is termed, "The Swamp Church." Patrick McCormick founded the "Irish settlement’ in Western Union in 1841. Peter Skelley and Thomas Skelley were associated with him. The first township election was held at the house of Eli McNett, in the year 1831. Township and general elections are now held at Ogdensburg. The first hotel in the township was kept by Samuel McNett. It was situated in the eastern portion of the township on the highway leading from Elmira, Troy, Canton to Ralston and Williamsport. The Catholic church in the Irish settlement was completed and dedicated in March, 1880. Mrs. Mary Skelley Birmingham, widow of the late John Birmingham gave the ground upon which the church is erected.